On behalf of the dedicated men and women that make up Husson’s Safety and Security Department, I’d like to welcome you to our homepage. Husson University is located on a 208-acre campus in the city of Bangor. There are approximately 3,000 undergraduate and graduate students along with over 200 employees in the Husson community. The University is a microcosm of a diverse society as a whole, and therefore shares similar interests and problems of the surrounding community, including crime. We are committed to providing our faculty, staff, students, and guests with a safe and friendly environment both on and around our campus. Statistically, Maine is the second safest state in our nation. However, that’s not to say that crime never occurs here at Husson. Husson, along with many other institutions of higher education is required to publish an annual report which illustrates certain classes of crimes and fire safety statistics for our campus. We are confident that after reviewing our Jeanne Clery Act statistics, you will see that Husson is indeed a safe place to be. Husson University is fortunate to have experienced so few crimes, but because crimes can and do occasionally occur on our campus, we strongly encourage a collaborative approach towards safety. We truly believe that we all share a responsibility in keeping our community a safe and enjoyable place to live and visit. 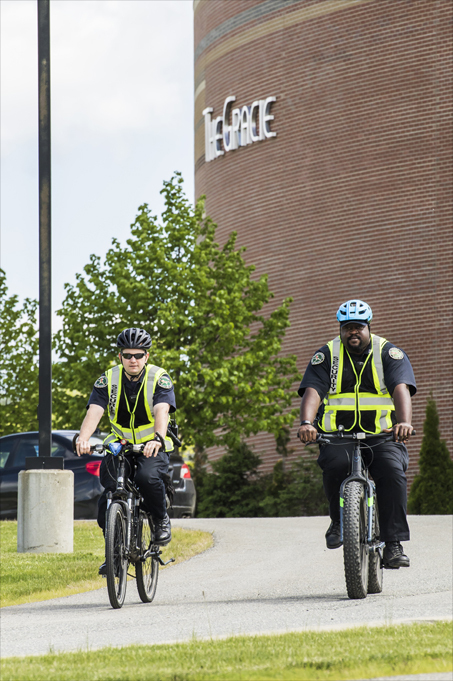 Husson University is committed to achieving campus safety and security for all members and visitors of its community. Please use the information on this website and learn how to report criminal actions, prevent crimes, and practice responsible behavior. The Department of Safety and Security is driven to be highly visible, engaged with our community, and extremely customer service oriented. Safety and Security strives to deliver exceptional service and a sense of comfort among those we serve, and we do so through community engagement, a team oriented approach, and working as partners with all of our stakeholders. Integrity – In all that we do. Trust – It takes a long time and an enormous amount of effort to gain someone’s trust, yet only a few seconds and little to no effort to lose it. We work hard every day to earn the trust we need to serve our community effectively. Respect – “It’s better to seek to understand rather than trying to be understood.” We view our roles through the eyes of those we serve, and thoroughly recognize that is through our understanding we position ourselves to earn your respect.